Home Yahoo Homepage Yahoo News Yahoo Philippines Yahoo Philippines Homepage Gets a New Look! 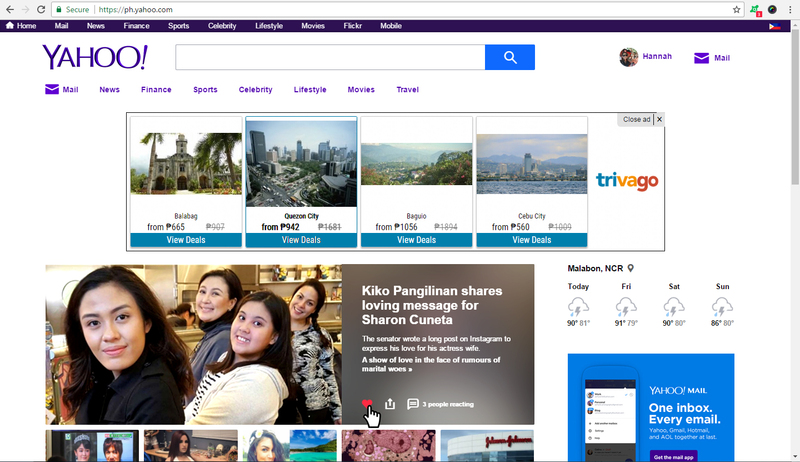 Yahoo today announced the new Yahoo Homepage, along with updates to Yahoo News for users in the Philippines. These changes, hosted on a dedicated Philippines domain - ph.yahoo.com, will provide a more unified experience across the Yahoo homepage and core properties, offering a better way to consume, engage, and discover the quality content users have come to expect. The new Yahoo homepage is designed keeping user behavior in mind. Yahoo has made it easier for users to get all the latest news and content, in less time. People no longer need to open individual articles in multiple browser tabs; instead, they can simply scroll through related stories inline. They can also engage in conversations, share what they are passionate about with a tap, and like their favorite articles by clicking on the heart icon. Yahoo will continue to provide the same quality content their audiences all over the world have come to expect. This major redesign of the homepage and core properties lays the foundation for many upcoming new features across platforms, harnessing the full power of Yahoo to create a unified experience across desktop and mobile web.